Whole steamed ocean trout, chilli, coriander, spring onions, soy sauce, steamed rice - our eyes opened real wide when this was brought out... and I quickly grabbed a fish knife and laid it next to the dish for scale... An Australian ocean trout that weighs 5 kg... very impressive, indeed! 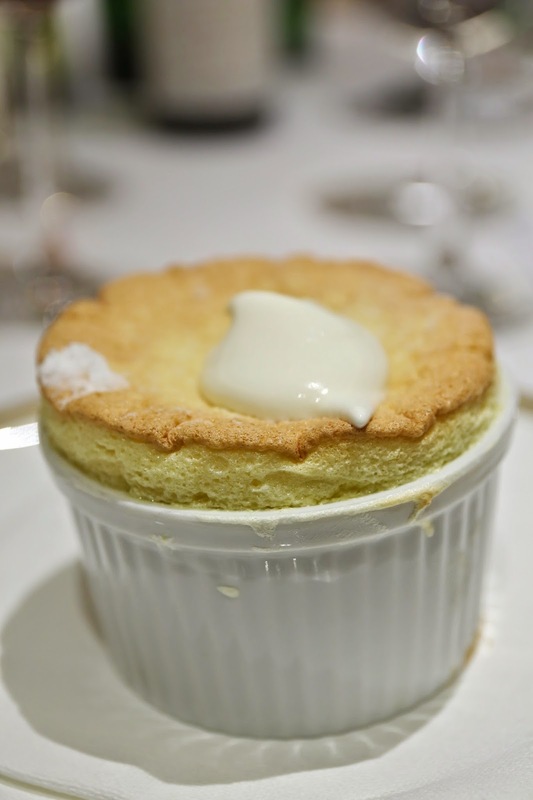 Grand Marnier soufflé - pretty decent. And there was even a cake because, after all, it's a birthday party!